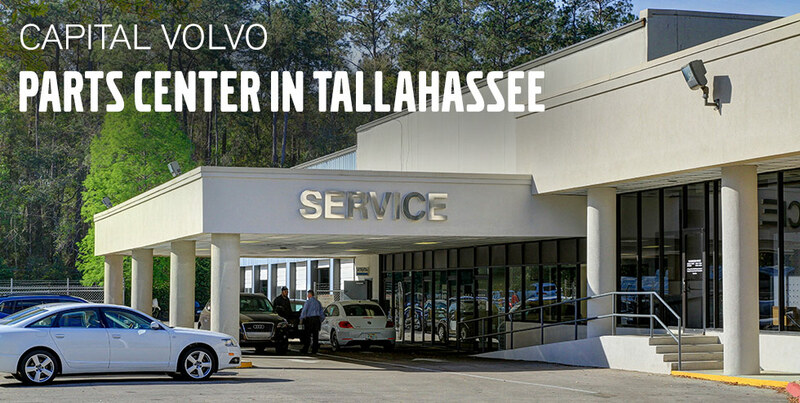 At the parts department at Capital Volvo dealership in Tallahassee, our trained technicians use the same high-quality OEM parts that your Volvo was built with. We maintain a large inventory of high-quality genuine Volvo OEM parts and our highly knowledgeable staff is here to answer any of your parts inquiries. Should we not carry a part for which you're searching for, we can always order it for you or you can order your parts online. Our Volvo parts include a lifetime warranty when they're replaced at an authorized Volvo dealer like Capital Volvo Cars. Knowing your car has been repaired, using high-quality Volvo Genuine Parts that are all 100% compatible with your car, gives you total peace of mind. What Volvo Parts are you looking for? We've got the perfect parts and accessories made to fit the exact specifications of your Volvo. Have questions about new or classic car parts you may need, call our parts department at 888-841-7432, order online or stop by our Volvo Parts Center 3963 W. Tennessee Street, Tallahassee FL near Panama City for the highest quality parts and accessories.